Buy Backcountry Skiing: Silverton, CO here and save money versus purchasing from within our app via Apple or Google. It’s exactly the same guidebook, but offered at a lower price on rakkup.com. December, 2000: I was a freshman at Fort Lewis College in Durango, sitting in a van full of other new students. The van was doggedly climbing up Coal Bank Pass towards Silverton, Colorado. I had applied to Fort Lewis for two reasons. 1) It had an excellent humanities department, and 2) it is at the foot of the San Juan Mountains, home of backcountry ski legends. Legendary backcountry pioneers like Dolores LaChappelle and Chris Landry made their homes in the San Juans. Legendary big steep mountains like Snowdon, Bear, Sultan and Kendall loom over the towns and highways like sentinels of a sacred place. Yes, I wanted to get a college education, but let’s be serious for a minute: I was a 19 year-old kid hungry for epic adventures and boundary-pushing weekends. This was my place. The van full of students parked at the top of Molas Pass where we all stepped out, trying not to let our dropped jaws show too much as to make us look un-cool (we were 19 years old after all). We were on an Outdoor Pursuits day-trip, led by two very knowledgeable outdoorsmen. 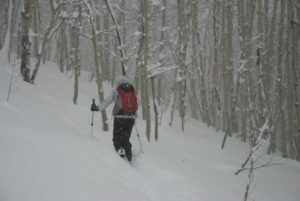 The class was titled “Terrain and Route Finding in Avalanche Country”. The instructors’ goal was to give us kids a primer on how to view avalanche terrain, how to notice avalanche prone features, how to understand the way an avalanche will move down different types of terrain. All day, we drove and hiked to dozens of locations to see classic ski zones like Anvil, Red 3, Kendall, and Prospect where the instructors emphasized how important it is to inspect avalanche terrain, plan your routes up and down. I’ll never forget the part of the day when our instructor said the following: “It would be so cool to have a folder full of photos of all the runs you want to ski, so that you can use them as you plan your next tour. 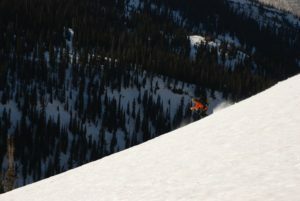 From this moment, deep in the best ski terrain of the San Juans, the idea was born to create a terrain based photographic atlas of all backcountry runs. 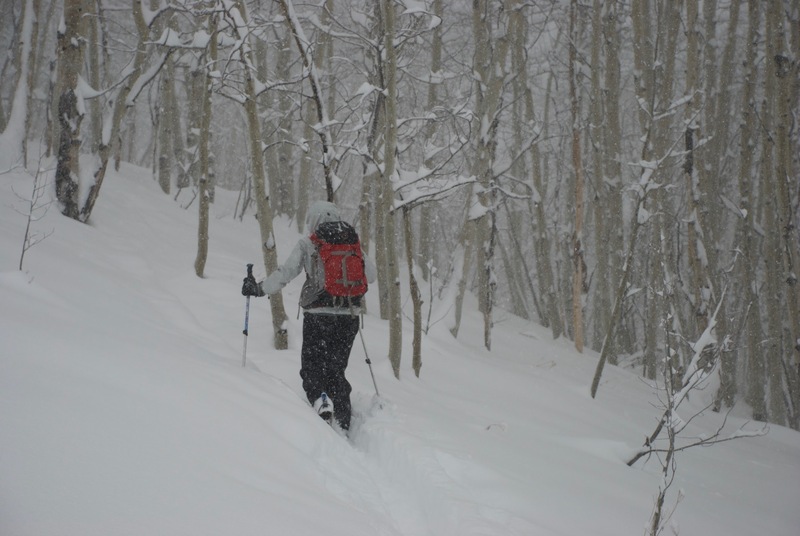 I believe that just as a kayaker scouts his run and commits it to memory, a backcountry skier should too. Smack-dab in the center of an ancient volcanic caldera, Silverton is a true mountain town. Home to an extreme ski resort, famous mountaineers, miners and rich history, it is a fantastic place to visit and speaks for itself when it comes to remote and rugged towns. Many mountain ranges don’t have a year-round maintained road passing through them. The San Juan Range from Durango, through Silverton, to Ouray has three: Coal Bank, Molas, and the infamous Red Mountain. Highway 550 brings powder-hounds through some of Colorado’s most rugged and diverse ski terrain. 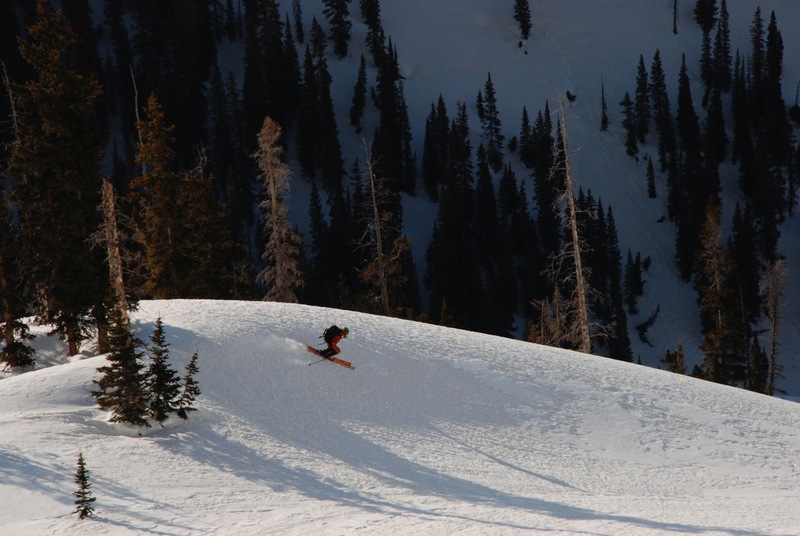 Silverton Mountain ski resort, at the heart of the San Juans, boasts an annual snowfall of 400 inches. What is one part of the avalanche recipe that never changes? Terrain. Terrain is the only constant. With Backcountry Skiing Silverton and rakkup’s powerful planning and execution tools, you can read your run the night, week, or month before. You can refer to it as you travel through the field, assess your conditions, and adjust your plan as necessary.